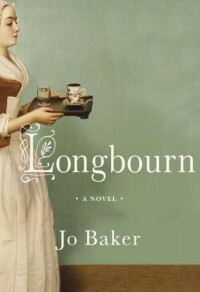 Longbourn by Jo Baker is the retelling of Jane Austen’s Pride and Prejudice from the point of view of the Longbourn servants. I received a copy free to review via Netgalley. I should start by saying straight off that this retelling doesn’t have Austen’s sharp insight and witty dialogue, but that would be a lot to ask of any writer. That is not to say it’s not an enjoyable read nevertheless. What I likedMeeting old friends again. I’ve always loved Pride and Prejudice and Austen’s characters and enjoyed meeting them again from a fresh perspective. Baker has done well in maintaining the essence of the characters. Jane is still as sweet and lovely, Lydia is still immature and naive, Darcy is still aloof, Wickham is still a slimy piece of work. What I did enjoy about this interpretation was the added depth we got to some of the more minor characters. Yes, Mrs. Bennet is still a drama queen, but we get more of a sense of the unhappiness beneath her need for attention. Likewise, Mr. Collins; although he remains smarmy, we see more of the young man struggling to cope with an elevated position without the necessary experience or social skills. Two characters who didn’t come across as well in the new adaptation were Mr. Bennet and surprisingly our beloved Lizzie. It was clear from Pride and Prejudice that Mr. Bennet is a weak man, but Longbourn takes this to new depths. I really began to dislike this character after reading Longbourn. I was disappointed just how little regard Lizzie seemed to actually show for the servants. Certainly, she is kind and respectful, but … and new ones. I enjoyed reading about Sarah and her life at Longbourn and about James. 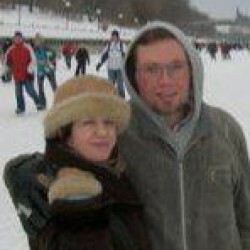 They were both engaging characters and nicely written. I was interested to see which way their story would go. I did find the whole “who is James and what’s his secret” dragged out far too long, however, especially as the answer was telegraphed pretty clearly early on. Mrs. Hill’s story was very sad and touching and I enjoyed reading about her. Her relationship with Mr. Hill is certainly not something I can imagine Austen describing.Matching the Pride and Prejudice story beats. I enjoyed the fact that Baker included events in Pride and Prejudice as seen from the servants’ point of view. For example when the Bennets go to the Netherfield ball, we see James having to drive them and Sarah wait up for their return. Events such as the Bingleys’ departure for London while dramatic for the Bennet sisters, has less impact downstairs which I enjoyed.What I didn’t likeThe description of James’ whole backstory. Yes, I understand that his past as a soldier is important both in terms of story and character development, but too much time was spent in descriptions of battles and battlefields. I chose Longbourn because I wanted to read about life in the great houses of England, not about traipsing through mud and rain as a soldier.All in all though, I did enjoy reading Longbourn, even if Jane Austen it is not. I gave Longbourn three and a half stars out of five.